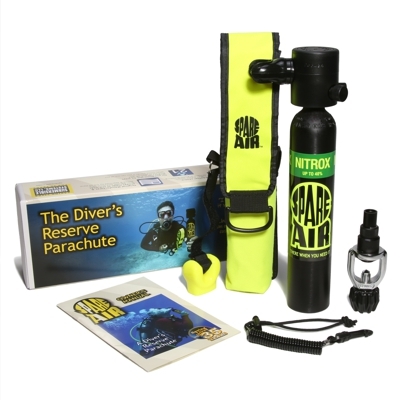 Do you dive with Nitrox? If you dive Nitrox, this is the SPARE AIR for you. 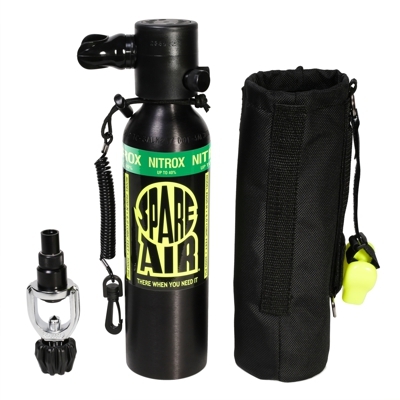 It is the perfect addition to your Nitrox System, with quick and easy refills from your own Nitrox SCUBA tank. Nitrox ready up to 40% EAN. Tank finish in durable Anodized Black with clearly marked NITROX label. Refillable to 3000 psi off any Nitrox SCUBA tank or air compressor with included refill adapter (patented). Breathe on demand regulator -No complicated instructions. 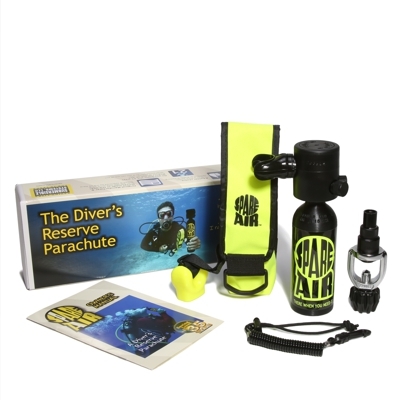 Package includes Spare Air, Holster, Safety Leash and Refill Adapter. Provides twice the amount of air over the standard 3.0 cu. ft. Spare Air. Refill your Spare Air in seconds from any full SCUBA tank. Weighing under 4 lbs. - the lightest 6.0 cu. ft. system on the market. Priced competitively compared to similar systems. If you dive Nitrox but want greater air capacity, the Model 600-N is the perfect addition to your Nitrox System. Quick and easy refills from your own Nitrox SCUBA tank.